Healthy Radiant Living: Local Chapter Meeting Info- All About Real Milk! Local Chapter Meeting Info- All About Real Milk! Thanks again to all of you that came out to our local chapter meeting on the 4th! I want to share some links and information that you can review. Also, this is for those of you that expressed to me you would like to have attended, but couldn't get there. This meeting was all about raw (also known as REAL) milk. 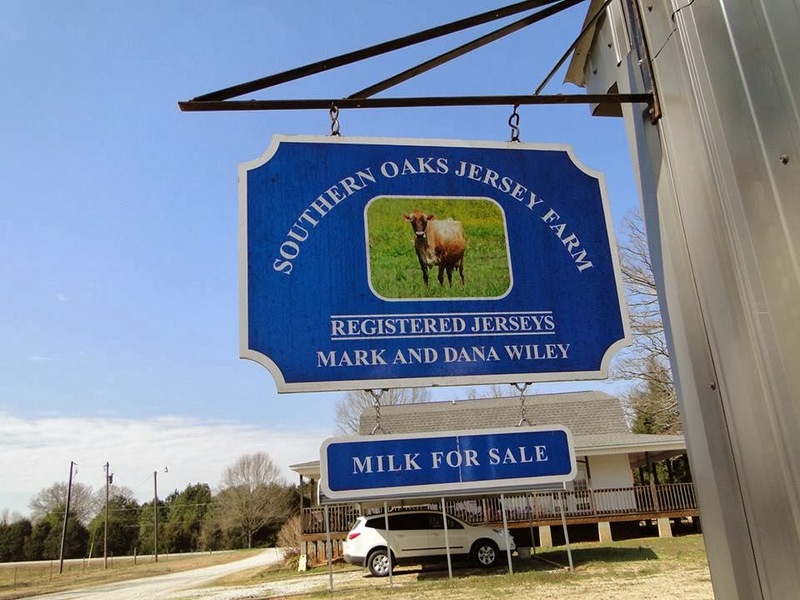 The milk donated and sampled was from Southern Oaks Jersey Farm in Abbeville. Delicious stuff! Their cows are tested A2 if anyone is interested in that information, a related article on this from Dr. Mercola is here. Another casein article from the original source, The Bovine, is here. To purchase their milk, you can either visit their farm or a rather convenient option is to join Clemson Area Food Exchange and order your milk weekly with several local pick up locations, including Liberty, Clemson, and Seneca. The DVD presentation we watched was, Raw Milk: The Whole Truth, featuring a conversation between Mark McAfee (founder of Organic Pastures Dairy and The Raw Milk Institute) and Dr. Dale Jacobson of Jacobson Chiropratic. We learned that this is truly one of the easiest "traditional" transitions one can make in their diet. Many important topics were discussed in this video. There are some shorter videos that have some close information as well, I will link to them below. The most relevant and exhaustive site for raw milk issues, involving safety, research, history, pasteurization effects, state laws, etc. are going to be found here at www.realmilk.org. Some things I wanted to share that I forgot to point out at the meeting are that milk powders are not healthy! They are oxidized cholesterol which is something you want to avoid. Also, heating your milk in a microwave is a big NO, NO as well! When milk is heated in a microwave it changes the protein structure and that is not for the better. It really is best to avoid microwave use anyway! There is a Safe Handling-Consumers' Guide; Preserving the Quality of Fresh Unprocessed Whole Milk, available for $5 from the Farm to Consumer Legal Defense Fund for those that are just getting started with purchasing raw milk that may come in handy, you can view that here. A Raw Milk Education Webinar Series is being offered in April for those wanting to learn more about dairy practices; for the farmer or consumer! Destruction of valuable enzymes begins at 118 degrees Fahrenheit, so, if your milk is even "low temperature" pasteurized, it is NOT intact of ALL its enzymes. The Milk Fast/Cure! Read up here from our fast last year, and decide if you want to join us in another fast this year! Here is a neat link to the some scanned pages of the American Association of Medical Milk Commissions, the "medical milk" used at the Mayo Clinic during the Milk Cure.